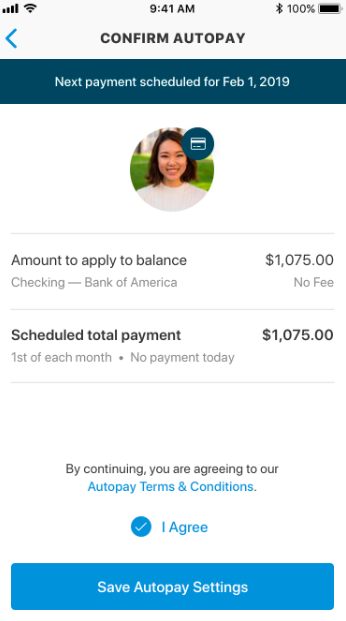 On the Me panel select Payments to view your Payment Balance. 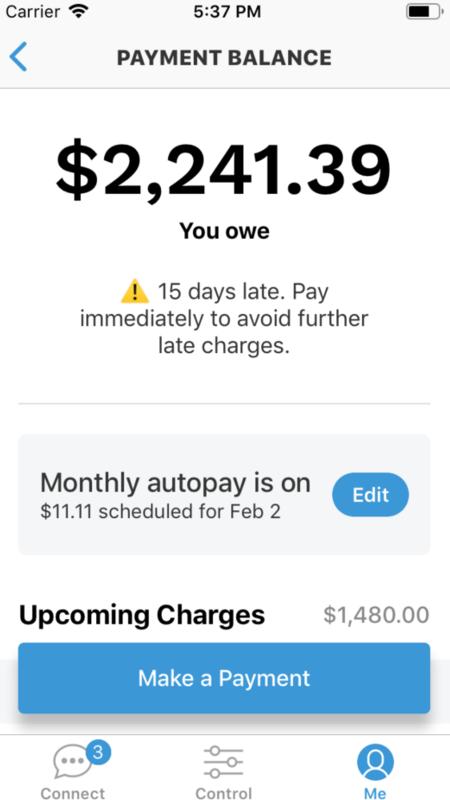 Select the Edit button next to Monthly autopay is off. 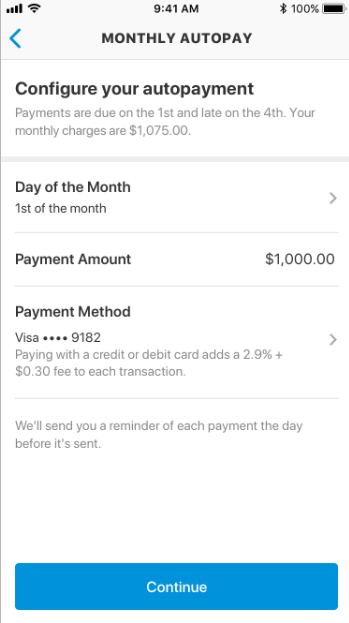 Enter the Day of the Month you'd like your auto payment to occur. Please note any specific information regarding your auto payment and select Got It. 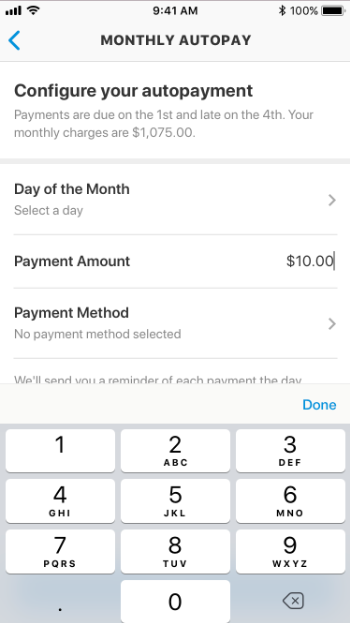 These messages clarify that autopay takes 2 days to set-up. 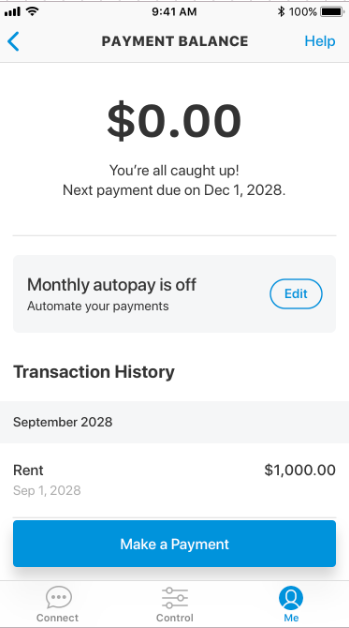 If you initiate autopay within 2 days of your due date, it will not take effect until the next month and you will need to make a one time payment for the current month's rent. 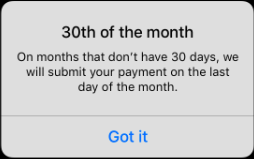 The messages also clarify that that autopay dates set for the 30th or 31st of the month will process on the last day of the month for months with fewer days than 30 or 31. Confirm your settings and select the Save Autopay Settings button. 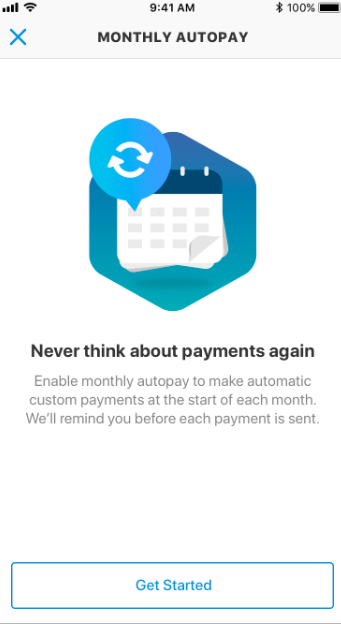 After you've enabled autopay you will see a banner specifying that autopay is on. 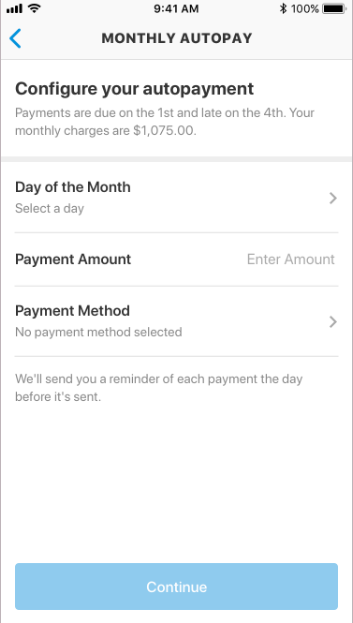 To edit your autopay settings or to turn off autopay, return to the Payment Balance screen and select Edit. 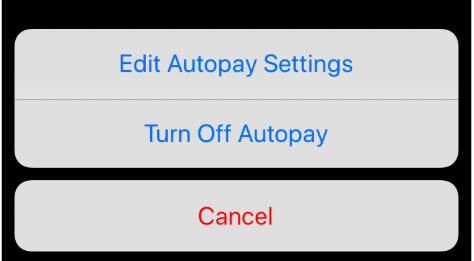 Choose to Edit Autopay Settings or Turn Off Autopay.